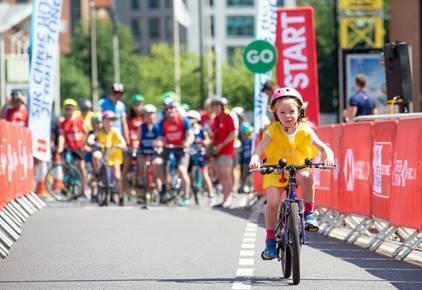 Make the most of Car Free Day and the closed roads of Cardiff on Sunday 12th May and join in the HSBC UK Let’s Ride - a free cycling festival for everyone. Come along and enjoy seeing Cardiff from the saddle. You don’t have to do the full distance – just as much or as little as you want. You don’t need to be an experienced cyclist. There will be no cars on the road, so you can wobble, zig-zag and stop as much as you like. It’s free, fun and the perfect activity for the whole family!